The case offers a number of unique capabilities, but do the micro suction cups hold up to repeated, long-term use? The Size & Weight of the case are properly proportioned for their usage, and the micro suction cups bring extra Functionality. The Build Quality is the case's Achilles heel, with visible seams and quick, but minor, damage to the fabric on the wallet. The minor issues with Build Quality are far overshadowed by the case's Design and Functionality. If you have an iPhone and are looking for a new case, the MEGAVERSE Anti-Gravity Case should definitely be on your shortlist. The value proposition on this case is very high. For around the cost of a more traditional case, the MEGAVERSE Anti-Gravity Case offers a lot more flexibility and some very interesting and useful Functionality. In addition to the obvious protection of the phone, it gives you a variety of added features, such as a mirror, wallet or bottle opener. It even works without the attachments for navigation in the car. A lot of thought was put into the design of this product. From the minimized cutouts for the ringer switch, camera and charger, to the button covers and, most importantly, the micro suction cups, everything was considered. My favorite design aspect is the angled cut for the camera. Rather than being just a simple perpendicular line, it's as a slight angle, giving it a nice aesthetic. The accessories all carry that same angled design aesthetic forward. Some of the accessories, though, have slight design issues. On the wallet, the hem between the first and second card holder sticks out a bit too far, making it difficult to remove a card from the bottom slot. If you try to remove a single card, or the back of two cards, the top will likely get caught on the stitching, making it difficult to remove, made more difficult if there is a card in the top. The top card slot is also fairly tight, so sometimes removing a card can be difficult there, too. The mirror and bottle opener have no real issues to speak of. The mirror is well-finished, and the opener fits a bottle cap properly. Overall this product is built decently. Nothing about it feels like it's going to fall apart in your hands, or that it's going to fail on you. All of the exposed edges, such as around the charging port or ringer switch, are rounded off and not sharp. The suction cup plate is sturdy and does not feel like it will peel, and has not pulled away after several removals from various surfaces. There are a number of issues, though, that might leave you wanting more. For example, there are noticeable injection molding seams running the length of the body, both front and back, and on the corners. After only a few weeks of usage, the corners of the wallet are rubbing a little thin, though that could be from the case's contact with other phones in a pocket. The MEGAVERSE Anti-Gravity Case has a number of scenarios in which it would be useful. 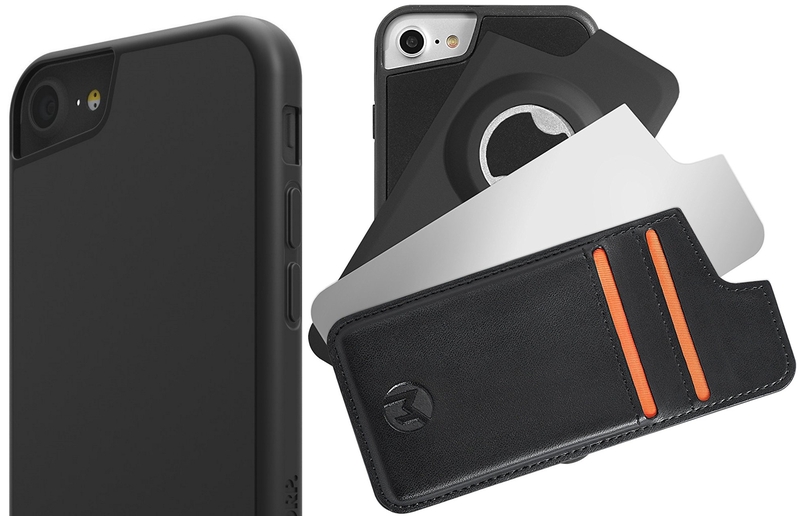 By itself, the case can be attached to almost any smooth, flat surface. It works great in the kitchen, attached to the refrigerator or microwave, which is handy when following a recipe or even watching Netflix while you cook. The place where it would be best used, though, is in the car, attached somewhere out of the way on the windshield to show navigation. Unfortunately, my windshield is too curved and the phone would occasionally fall off. Obviously this is not the product's fault, but it was a slight disappointment. With the accessories in the MegaPack, the usage is increased even more. For some, the addition of a mirror makes checking your hair or makeup easy. For others, a bottle opener right at your fingertips can save a party. The most practical, though, is the wallet. With enough space to fit up to 3 cards, it eliminates the need to carry a wallet for most scenarios. It's not perfect, though, as the top slot is incredibly tight, and retrieving the card can be a challenge. The bottom slot is indented, meaning if you only have one card, it is hard to get out, or if you have two, the same issue applies to the back card. In some instances, removing the front card and sliding it behind the other is the best way to remove the back card. One feature that would make it better would be a slot on the side to place cash. The size of the MEGAVERSE Anti-Gravity Case is surprisingly small. The material is slim without feeling flimsy or unprotective. Without any of the accessories, it adds very little in the way of thickness or weight to the phone. Some of the accessories, however, function differently. The bottle opener and the mirror are both a little on the heavy side, but there is little to be done about that. The mirron, though, is still remarkably thin, adding almost nothing to the existing case. The bottle opener is thicker, though, as it must have enough space to open the bottle. As for the wallet, it is not as thin as the mirror, but not as thick as the bottle opener. It is also far lighter than either of them. The company keeps its product offerings up-to-date with new releases as high-profile phones are released, While the model we reviewed was for the iPhone 6s Plus, the company offers models ranging from iPhone 5 through the newly released iPhone X.